There will always be a need for good journalists. Reason is the world needs to know what’s happening and how it’s going to affect them. If you think you are cut out for a career in journalism, you will need to do your homework to find the best journalism degree that will help you meet your career goals. Depending on your needs, you can either go for an on-campus degree program or an online journalism degree. If you want to find out more about journalism degrees before making the final decision, you can get some key information below. A variety of online schools offer journalism degrees. However, it is important for you to select a degree that is approved by a recognized accrediting agency. The Accrediting Council on Education in Journalism and Mass Communications (ACEJMC) accredits journalism and mass communication programs. It ensures that the journalism degree programs meet acceptable quality standards and your degree will be acceptable to future employers. Following are some of the major degree levels offered in online journalism degrees. How to Select an Online Journalism Degree? Make a list of accredited online programs that offer degrees in journalism. Select a degree level and study the coursework offered by different journalism schools. Find out about the admission requirements, tuition costs, and instruction methods of your preferred school. See if the journalism programs are entirely online or provide hybrid education. Shortlist programs that offer your preferred method of instruction. Learn about the overall repute of your preferred schools and also get alumni feedback to see if the school will be suitable for you. Select a school that provides quality education, meets your coursework requirements, offers convenience and flexibility, and is also affordable for you. Many students tend to expect traditional careers after completing their journalism degree. They are expecting to work as newspaper, magazine, or television reporters but there are a wide variety of other fields waiting for them. Following are some of the popular careers that journalism graduates can pursue. New analysts work side by side with editors. They suggest trending topics to journalists and help them see the bigger picture of a topic or story. They also help newspapers and news programs produce interesting content. News analysts also write columns and appear on news programs to share their insight and analysis of current events. According to the Bureau of Labor Statistics (BLS), reporters, correspondents and broadcast news analysts made an annual median salary of $37,090 in 2012. Editors check the content submitted by writers and reporters. They also make sure that the finished work meets the standards and is free from all kinds of errors. Besides checking the work of writers and reporters, editors may submit their own stories or articles for publication. As the media is continuously expanding, there is a growing need for editors for online newspapers and magazines. BLS states that editors made an annual median salary of $53,880 in 2012. The job of PR Specialists is to manage the publicity of businesses, corporations, and individuals. Many public relation specialists work with multiple clients. Their key function is to represent an individual, business, or an organization in a positive light. They usually enable press coverage and act as a link between media, clients, and the public. Major duties of PR specialists include managing campaigns, performing different PR functions, and writing press releases. According to BLS, public relation specialists earned an annual median salary of $54,170 in 2012. Q:Journalism masters programs are designed for what purpose? A:A masters degree in journalism is a two-year graduate degree designed to prepare students for professional roles in the field of media and journalism. The program will help students develop strong writing and reporting skills. Students will cover different topics in the program. These may include: ethics in journalism, video journalism, entrepreneurial journalism, multimedia storytelling, and data reporting. 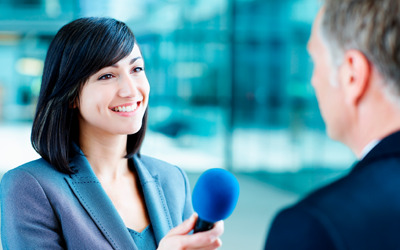 Q:Can I work as a reporter with a bachelor of journalism degree? A:Yes, you may qualify for the role as a reporter with this qualification. You can apply to different news reporting agencies. Your basic job duties will include: researching topics for news, review and editing articles for media, interviewing people for news, etc. According to the US Bureau of Labor Statistics, in 2014, reporters and correspondents made a median annual income of $36,000. Q:With an associates degree in journalism, what areas can I look for jobs in? A:An associate degree in journalism can help you qualify for jobs at entry-level. You can consider working in areas such as the following: social media, newsroom reporting, copy writing, advertising photojournalism, fashion and sports journalism, and more. To qualify for advanced jobs in journalism, you may need a bachelor or masters-level degree. Q:What courses are covered in a journalism certificate program? A:In a journalism certificate program, you will be required to cover a range of topics relevant to the field. The curriculum may vary slightly from place to place. Some of the topics include: reporting and writing, investigative reporting techniques, media law and ethics, social media and community engagement, writing for advocacy, narrative journalism, and more.